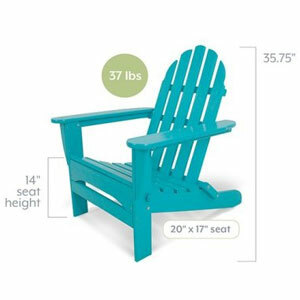 Poly resin Adirondack chairs has gained popularity due to their less expensive cost, the array of bright colors that are available, and their incredible longevity and durability. Over the last few years they have begun to edge out wood varieties since they require little to no maintenance. 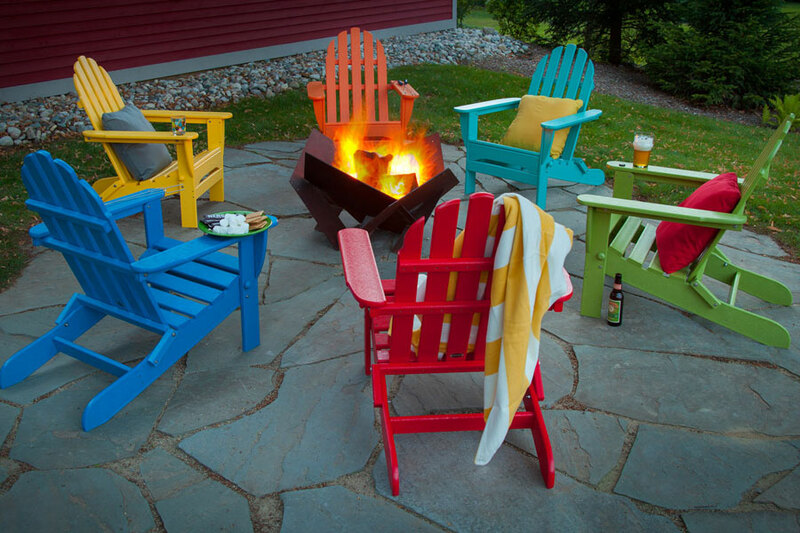 Most Poly resin Adirondack chairs are made from HDPE wood which is a mixture of resin materials and wood that has been recycled. 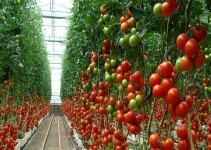 This type of material is also appealing to environmentalists since it is eco-friendly. The hardware used to put together poly resin chairs is made from heavy duty stainless steel so it is rust resistant. Other popular aspects of poly resin chairs include being super lightweight and easy to move around without feeling flimsy and come in various styles to match every preference. They even have child-sized Adirondack chairs for your younger ones. You may think that people would prefer wood over poly resin chairs and some do but more and more due to time constraints and lack of desire, people do not want chairs that they have to spend so much time maintaining. All you need to do with poly resin chairs is wash them and you’re done. 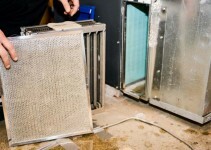 There is no need for patching, sanding, staining, sealing or fixing broken slats. 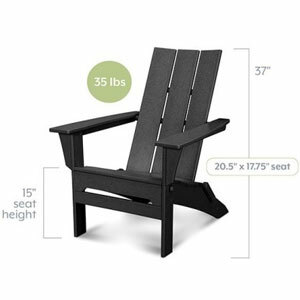 The only thing you will need to watch out for when you have poly resin Adirondack chairs is excessive heat and sun which can cause damage to poly chairs. If you live in a climate that is over 100 degrees on a regular basis you will want to bring your chairs to a shady spot to prevent the sun and excessive heat from ruining the chairs. 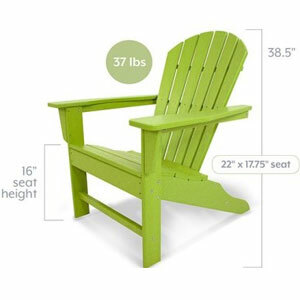 Below we have listed the numerous styles that you can find Adirondack chairs designed with. The differences are subtle but provide consumers with a variety of choices that can match any home’s outdoor space décor. Classic Style – The classic style of Adirondack chairs feature the shortest of all seat heights which puts them closest to the ground. The seat height is typically about 14” from the ground. 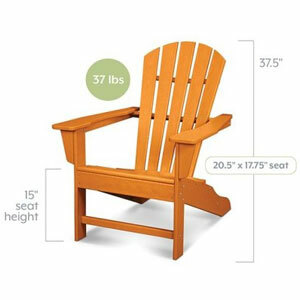 This lower height makes the classic Adirondack great for children and shorter adults. They are not good choices for those with arthritis or knee or back problems due to the difficulty they could have getting down that low or standing back up from the low height. 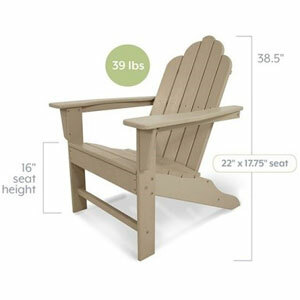 Classic Adirondacks feature straight arms and the basic details that Adirondacks have had since their creation. The over-sized classic looks exactly like the standard classic with the exception of having a wider seat, wider arm rests, and less spacing between the slats on the back and seat. 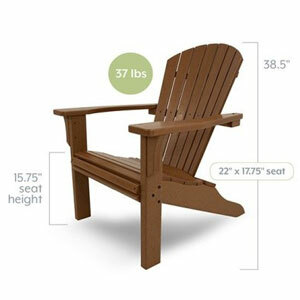 Palm Coast Style – The Palm Coast Adirondack chair features additional room in the width thanks to sleeker, narrower arms. There is also sometimes a folding option on some of the Palm Coast chairs depending on the manufacturer. The folding version of the Palm Coast style usually has an apron that is contoured and located horizontally along the front of the chair. 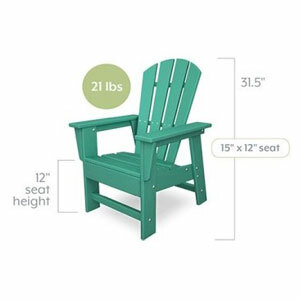 South Beach Style – This style of Adirondack chair sits higher than other styles at 16” from the ground. The South Beach Style has a wider frame as well making it a great choice for taller individuals. The arms are over-sized as well which is just right for placing your drinks, a small snack plate or just resting your arms comfortably while you sit and relax. Long Island Style – This style is very similar to the South Beach style in seat size, contoured arms, and seat dimensions but where it differs is in the flower curved, closed back design with little space between the back slats. Seashell Style – This beautiful style features a waterfall seat where the slats of the seat continue down the front and a beautiful “shell” designed seat back. Seashell styles can be larger than other styles depending on the manufacturer. Child-Sized Style – Little ones like to be comfortable outdoors as well which is why the small, kid-sized Adirondack is becoming more popular. Modern Designs – Some of the more modern designs feature sleeker designs with very straight backs and wide arms that fit well with modern décor. As you can see, there are many different styles of Adirondack chairs to choose from. Each style is available in a variety of bright colors that will go well with many different home colors and outdoor space designs. The different styles are not drastically different but consumers definitely prefer certain styles over others, however subtle the differences are. When you are looking for your favorite style, keep in mind who will be sitting in the chairs most often. 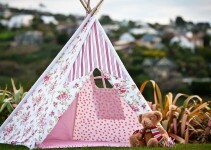 If you have a lot of children, the shorter, classic designs will work well. You can get all the same style for uniformity or go for the mix n match look and choose several styles that are complimentary to each other. Whichever you choose you can guarantee your friends and family will be very happy to enjoy these comfortable chairs whenever you have them over for a visit, party, or holiday event.